Skip Traces: What, Why, and How? We live in an interconnected world dominated by technology and rapid access to information, but some people still manage to live “under the radar” in an effort to evade bill collectors and law enforcement agents. A skip trace is one of many tools that can be used to investigate such a person’s whereabouts. Also known as debtor or fugitive recovery, a skip trace can reveal important information that helps a creditor, process server, or other entity track down a certain person. The phrase “to skip town” serves as the inspiration for the term skip trace, since it implies that a trace is being completed on someone who is no longer responding to previously established communication information. When a skip trace is employed, the skip tracer uses various tools to collect as much information about a subject as possible. The information is synthesized and then used to locate the subject who cannot be found through existing contact information. Who Uses Skip Tracing, and Why? Since skip tracing seeks to find people who aren’t answering their phones or living at their last known addresses, debt collectors and repossession agents tend to be two of the most common entities utilizing skip tracing. Most often, a subject has failed to pay a financial obligation and, in an effort to avoid future payments, is purposefully avoiding the creditor. It’s also possible that the subject of a skip trace has committed some type of crime, which is why bondsman, bounty hunters, lawyers, police detectives, and even journalists all utilize skip tracing too. 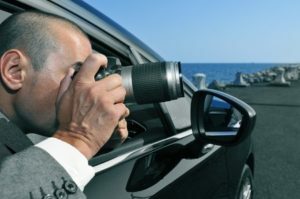 While some skip tracing information is available publicly, other sources of information can only be accessed by a law enforcement agent or licensed private investigators with a search warrant. Skip tracing may search through phone number databases, credit reports, job applications, criminal background checks, utility bills, and public tax information to obtain the information necessary to track down the subject. The team at Accurate Serve Daytona Beach offers skip tracing services to help attorneys, private investigators, and other parties find details about a person’s past and current situations. Give them a call today at 386-569-8475 for all of the help you need.